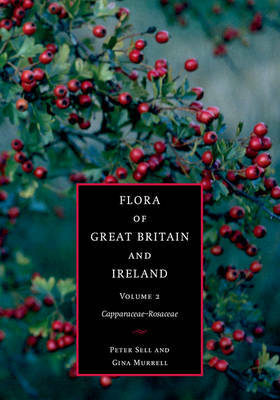 Planned in five volumes, this critical flora provides a definitive account of the native species, naturalised species, frequent garden escapes and casuals found in the British Isles. Full keys and descriptions will enable the user to name all plants occurring in the wild, plus some ornamental trees and shrubs. For the first time, detailed accounts of all the large apomictic genera are given and many infraspecific variants included. Each species entry begins with the accepted Latin name, synonyms and the common English name. A detailed description follows, including information on flowering period, pollination and chromosome number. Separate descriptions are given for infraspecific taxa. Information on the status, ecology and distribution (including worldwide distribution) of the species and infraspecific taxa is also given. Clear black and white line drawings illustrate an extensive glossary and also illuminate the diagnostic features in a number of groups of plants.